The crypto twitter freaks finally got their wish. On Monday, Coinbase confirmed in an official Medium post to list Ripple (XRP) on its platform, starting with Coinbase Pro. The result? A ~10% pump in less than a day, followed by a harsh reality 📉. The “Coinbase Effect” on token listings is certainly fading. Like past listings, no timeline has been provided and the process could take a few weeks to fully implement across all platforms. Brian Armstrong, CEO and cofounder of Coinbase, writing for Fortune dispels misconceptions about “hot” versus “cold” storage for cryptocurrencies. The newest line of smartphones from Samsung, the world’s most popular smartphone company, will come equipped with a blockchain wallet according to an initial press release from the company. Galaxy S10 models will reportedly include storage for Bitcoin and other private keys, as well as support dApps and ERC-20 tokens. Furthermore, at a conference in Barcelona, Samsung revealed four of its blockchain partners—Bitcoin, Ethereum, Enjin (which surged 200% off the news 🚀), and Cosmee. The exact nature of the partnership still remains unknown and will most likely be revealed after the launch. h/t @twobitidiot for breaking down the significance of it all. California’s recent marijuana legalization is incredible news – for both recreational users and investors alike. You see, we’re on the brink of a mammoth wealth opportunity… and right now you have the chance to get in on the ground floor. In fact, a handful of tiny California pot companies could expect to see their revenues QUADRUPLE following legalization. To view this brief presentation, simply click here now. 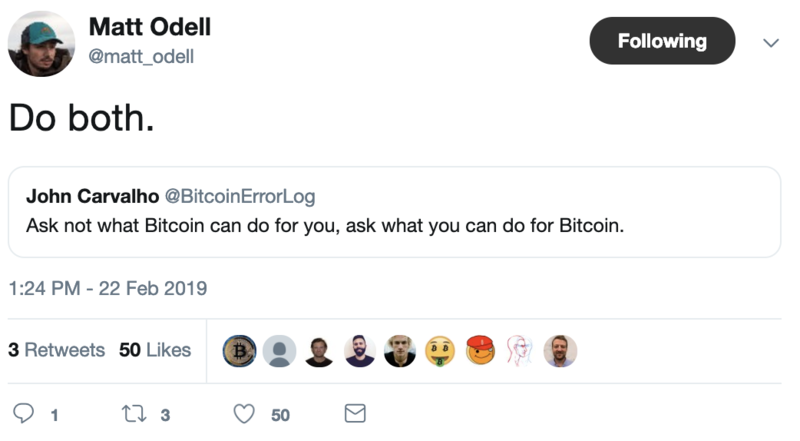 Investors always want to know what the fundamental price drivers are behind BTC… and whether at a given time Bitcoin is overvalued, undervalued, or at fair value. To help with that judgement, Tuur Demeester of Adamant Capital just provided the latest and greatest tools to meaningfully compare long-term investor activity… while recapping the ever-changing history of BTC valuation methodologies. Here are the updates on Relative Unrealized Profit/Loss (investor sentiment), HODLER Position Change (insider buying/selling), and Liveliness (extent to which a cryptocurrency is meaningfully used by savers). Cambridge Associates, who represent over $400B in institutional assets has released a brand new and thoughtful research paper covering their favorite crypto investment strategies. The CoVenture team has been working hard to generate research over the last few months on the topic of exchange liquidity. Their latest research paper attempts to address some of the key questions investors have regarding cryptocurrency exchanges, including, the true liquidity of exchanges, wash trading, exchange regulation, and more. Don’t be surprised if you begin seeing a lot of clickbait headlines taken from it. Learn the exact trading strategy used to win in 2018 and how to stop the seemingly endless cycle of losing money forever and how to do it all trading less than 4 hours per week. Find out why the bi-partisan Congressional Blockchain Caucus sees 2019 as a breakout year… and how 30+ states are welcoming a Web3 future. Wyoming’s blockchain movement, one of the “winningest advocacy efforts” of its kind in the U.S., started with Caitlin Long. The former Morgan Stanley managing director wanted to donate to her alma mater, the University of Wyoming, in Bitcoin. The state’s laws didn’t allow it. Fast forward to 2019 and in a large part due to Caitlin Long’s efforts, Wyoming has passed five landmark bills aimed at making one of the country’s least-populated states the friendliest to crypto. So, welcome to Wyoming. Home to coal, cattle… and now crypto. “Borderless money” is more than a buzzword when you live in a collapsing economy and dictatorship. Here’s how one man is saving his family — using Bitcoin to provide necessities as his country’s economy collapses around him.